Kawasaki had promised that if Brad Lackey won the 1972 AMA 500 National Championship, they would send him to Europe to contest the 500cc World Championship, a title that Brad would eventually win in 1982 on a Suzuki. Despite their agreement, Kawasaki was hesitant to send Brad to Europe, preferring that he remain in the United States and defend his AMA 500 National Championship while running the #1 plate he earned in 1972. Lackey insisted that Kawasaki keep their promise, suggesting that he would race for Husqvarna in Europe if Kawasaki did not live up to the agreement. Kawasaki eventually acquiesced, and Brad and his mechanic, Steve Johnson, prepared to leave for Europe with Kawasaki’s reluctant backing. The bike was crated and shipped to Europe and debuted at the Belgium GP. 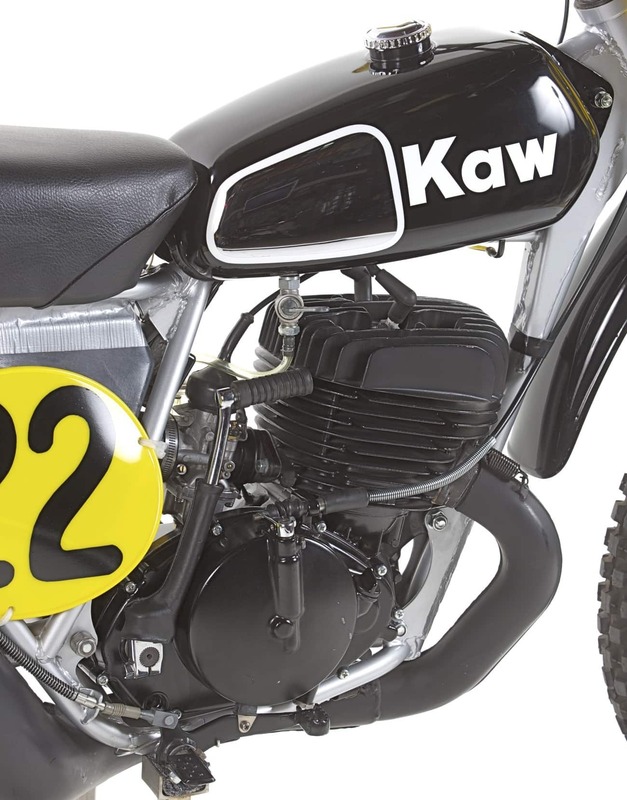 With no Internet or digital cameras, it took several weeks for the management at Kawasaki to see the bike that was being raced in Europe—and when they did, they went ballistic. Tim Smith, Kawasaki’s U.S.-based race team manager, immediately shipped two cases of Kawasaki green spray paint to Europe with stern instructions to “fix the bike.” The fenders and airbox on the bike were painted green, and Lackey reverted back to the polished aluminum Wassel tank run on the bike. Works bikes cost thousands of dollars to build and are often preserved for history. Not so with the Black Kaw. At the end of the 1973 season, the machine was disassembled and the parts scattered to the wind. Patrick Johnson, brother of Brad’s mechanic Steve Johnson, built this replica and donated it to the High Hopes Head Injury Center. 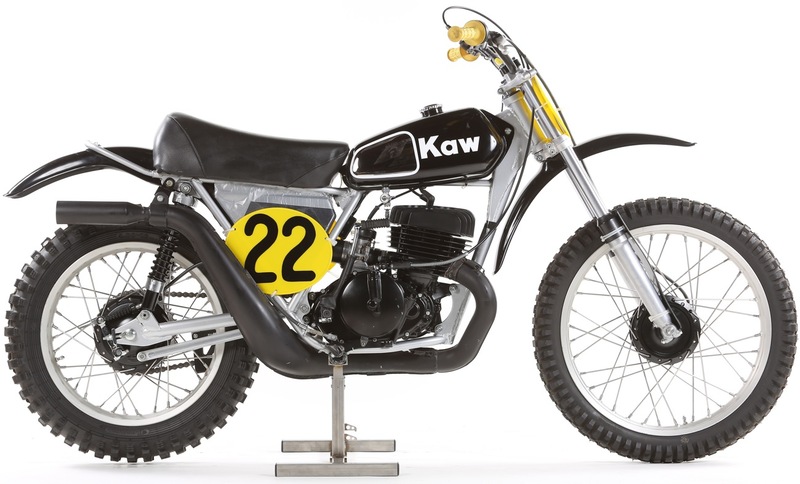 It now resides in the Early Years of Motocross Museum. The value of the donation was appraised at $20,000. 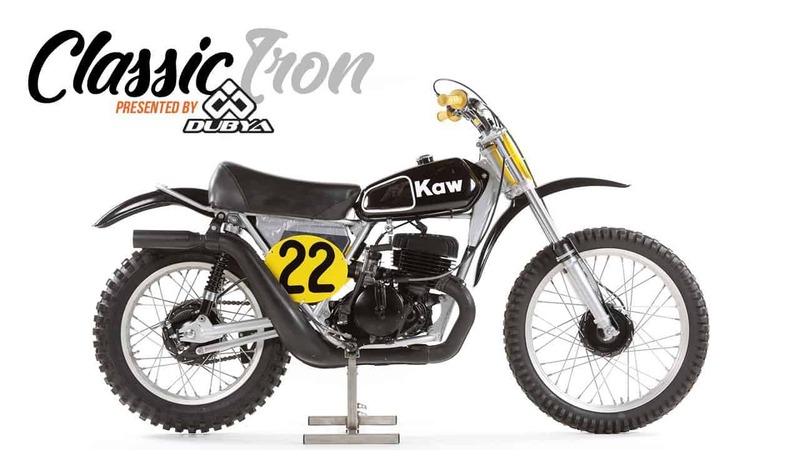 The Black Kaw, the factory KX450 that was repainted and rebadged twice in one season, was based on the F12M production KX450. 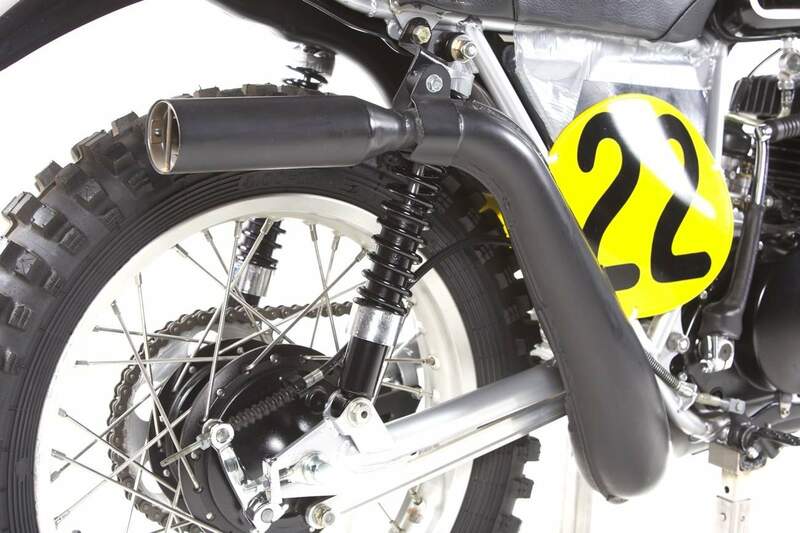 The Black Kaw was a hybrid using Works Bultaco forks obtained from Jim Pomeroy, Koni shocks, a KHI front hub, Flanders handlebars, yellow Oury grips and Barum tires. The frame was built by C&J and powder-coated silver. Some of the components can be sourced, but it is very unlikely that you’ll find the “works” KX450 magnesium engine and another C&J frame.